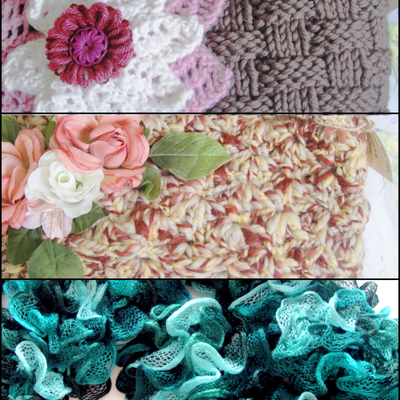 I am a lover of craft, most known for my funky hand-made designer knitwear. 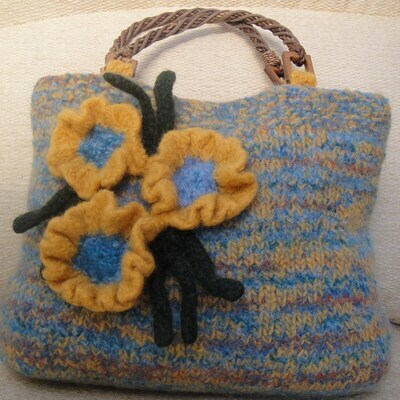 I create bags, hats, jackets, scarves and fabricic painted material from an exciting textiles I can find. More recenytly I have ventured into luxury handmade decoupage cards, paintings, drawings and even mask making. When I was 3 years old my Grandmother taught me to knit. Since then i have been creating and althouight during my Degree in textiles and long career as a designer I have ventured into many other medias, I have always tried to advocate how exciteing knitted creatings can be, and that it is not just for your grandmother & making baby shawls. In all my creations, from jewlerey to fabic painting, I use colour as my signature. I am not scared to mix bold prints, and bright colours; I have always just had an eye for making unusual combinations work. I still have ambitions of one day having a bespoke handcraft shop, however for now I mainly make designs and pieces for commission from my home in sunny Niton.